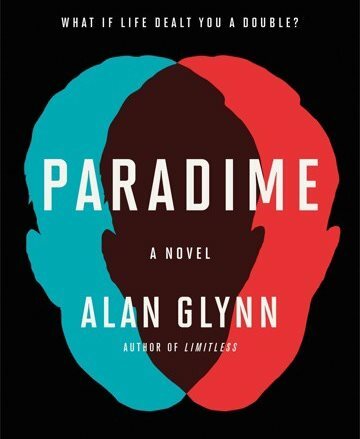 Our May 2016 Book of the Month: The Paradime. The author: Alan Glynn. This is his first standalone novel since his 2001 techno-thriller The Dark Fields (later republished as Limitless after the film and TV adaptations). The genre: psychological / conspiracy thriller. The central character: Danny Lynch (33) is an Iraq War veteran who works in kitchens, though wouldn't quite call himself a chef. He has a history of mental health problems, "a little ADD as a kid and some standard-issue PTSD after Iraqi Freedom. The plot: intricately structured, with a relentless pace and several creepy and unexpected major twists. Three weeks ago Danny was working in a chow hall in Afghanistan for a private contractor, Gideon. While there, he witnessed Gideon's security guys murder two other employees. Danny kicks up a fuss. No one wants to know. The dead men were TCNs (Third Country Nationals). He's fired. Back in New York, he's broke, with no job, his girlfriend owes $30,000 in student loans, and Gideon could be suing him. But things look up after Danny lands a kitchen job at a high-end restaurant where (about a quarter way through the book) he sees a customer who is his exact double. Why we liked? Glynn combines the classic doppelgänger rags-to-riches form with a superb conspiracy angle to create a highly original modern tragedy. The Danny character is already at his wits' end by the start of the book, and just when you think it can't get any worse it does - again and again. Glynn keeps the story firmly within real-world parameters and possible technologies rather than a more futuristic world of human cloning, and in that sense it's more Parallax View than Orphan Black. Along the way he also has fine observations about class, envy, obsession, venture capitalists and restaurant kitchens. Anything we didn't like? Some readers might find the ending too open-ended. The story is told in the first person, from Danny's point of view, mainly in a feverish present tense. While this adds to the feeling of paranoia and mental exhaustion, it also means the other characters have very much a supporting role most of the time. Any spoilers? Danny has Irish roots (that's about as much as we are told of them). He even gets to come to Ireland, for a web summit, but the author doesn't milk it to death. The publishers: Faber & Faber, Picador.